One of the details I nearly forgot to sort out was garters. 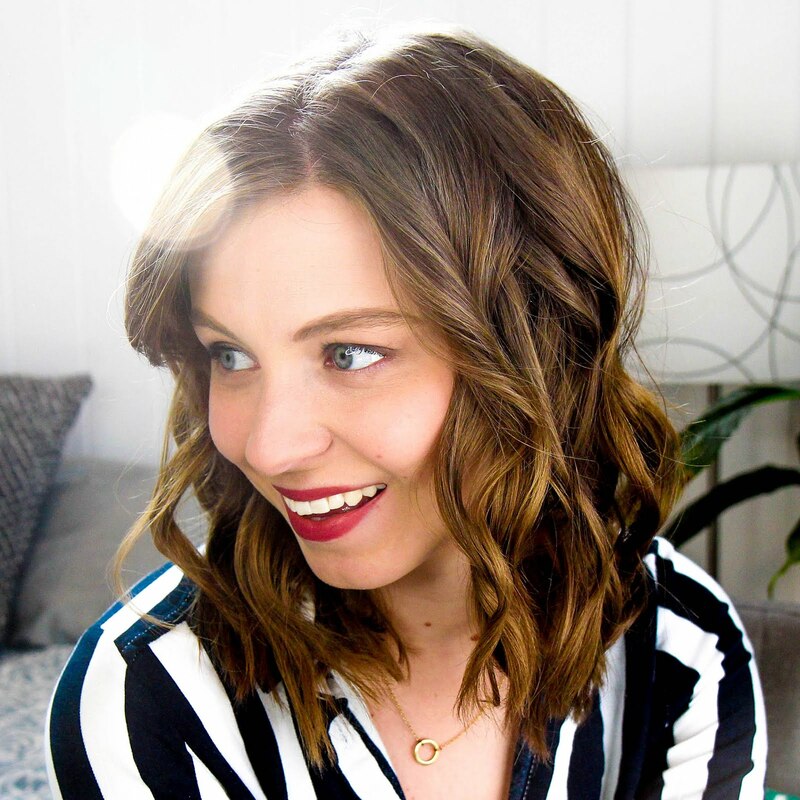 I'm a big fan of all the traditional, a-little-too-old fashion wedding practices and really wanted to find something fun for my garters. So of course I headed straight to Etsy to hunt around and found just the thing. What's old, new, borrowed, and blue? The Tardis of course! 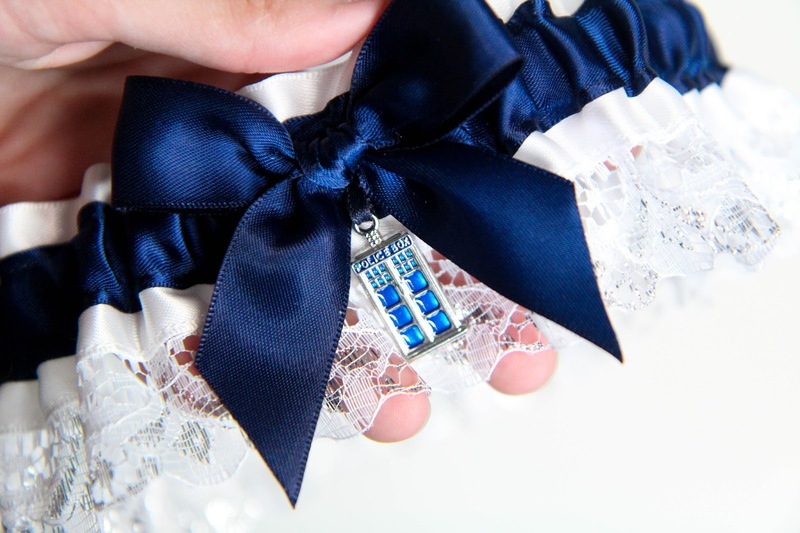 A Doctor Who themed garter set seemed so beyond perfect since it's what brought Alex and I together in the first place. There were so many options to choose from, but this set by PikesPeakCreations called to me right away. The details on these babies are just amazing down to the little Tardis and sonic screwdriver charms. 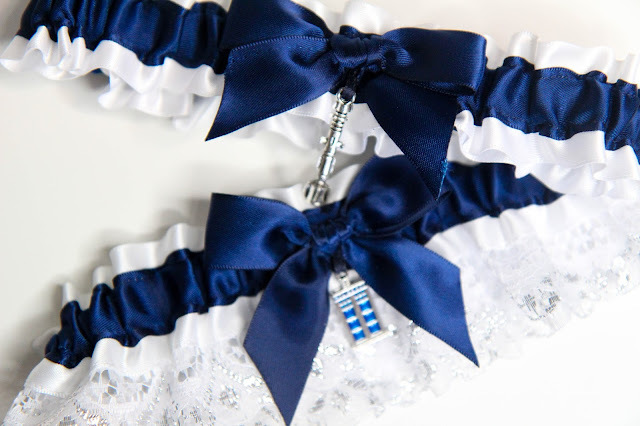 It's weird but these garters really brought everything home for me. Sure I've tried on my dress a handful of times and have been to the venue time and time again. Heck we just started to send out the invitations. But all of that still felt somewhat dream like. There's just something about holding these in my hands and not having to hide them from Alex (he wants to be surprised about the dress) that makes it so much more real. I'm getting married in less than 80 days and these cute puppies will be going along for the ride.